Dandelion is a weedy composite plant, also known as Taraxacum Officinale scientifically. It grows wild in most parts of the world. One can often see this plant in meadows, soccer fields, and golf courses. This plant has a long history of therapeutic use. Especially, in France and Germany, it has been used for its healthful properties. Professional herbalists use its above ground parts and roots to make various medicines. According to them, it is an excellent food source that anyone can find, grow, and put to use for immense health benefits. Is there any difference between dandelion roots and dandelion greens? Well, both are high in nutrients and can be used for many diseases. University of Maryland Medical Center (UMMC) research shows that both parts of dandelion are rich in nutrients. They also have many other vitamins and minerals. Besides, they are edible and contain many healing properties too. However, at the same time, both of them can benefit you in their own specific and different ways. For examples, dandelion root detoxifies the liver and gallbladder. For that reason, it is often powdered and roasted for use as a coffee substitute. On the other hand, dandelion greens that come from the leaves of dandelion act as a diuretic. It also supports the kidney function and stimulates the appetite and digestive function. Dandelion roots are more nutritious than most of the vegetables in your garden. Gardeners keep a special space for them because of their extraordinary medicinal properties. Medical research into their effectiveness has shown many potential benefits too. These roots are so beneficial that you can use them fresh or dried, in tea form or in extracts. They are purported to treat and prevent a number of conditions. 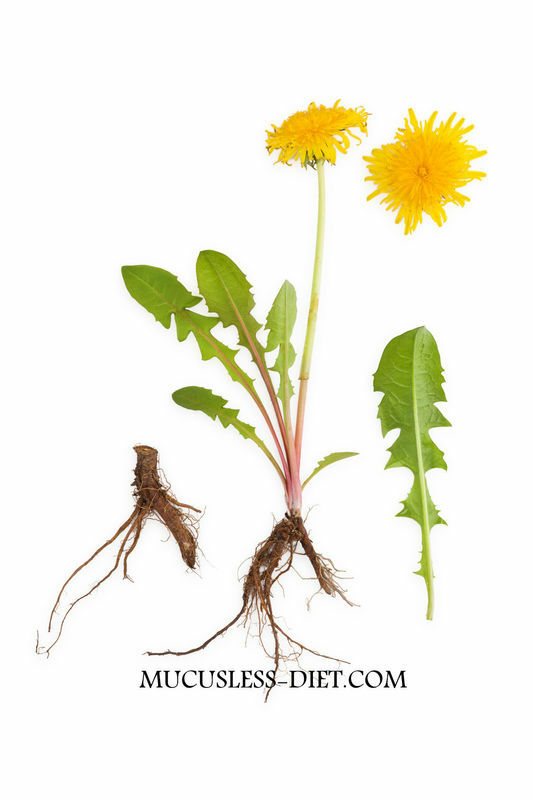 Antioxidants in dandelion roots protect you from free radicals. New York University Langone Medical Center study confirms this too. They detoxify the lever and improve the overall function of it. There are many other studies by a group of professional researchers that shows its efficacy in supporting lever health. Dealing with liver fibrosis (the first stage of liver scarring)? Its roots extract can cure it by inactivating hepatic stellate cells. This activity also enhances hepatic (liver) regenerative capabilities to improve liver function. There are many evidences behind its weight loss properties. Scientists believe that its diuretic effects actually contribute this benefit. It increases frequency of urination, while reducing symptoms of constipation. That’s why, even popular fitness coach Jillian Michaels recommend it. He highly suggests drinking its tea as a part of regular weight loss strategy. But, there are many other reasons that make it a powerful herb for weight loss. For example, it contains very less amount of calories. It adds just 2 calories to your diet. It is one of those cancer fighting machines that grow in your yard. Laboratory studies have shown its anti-cancer effects against blood related cancers. From lymphoma & leukemia, it can prevent almost all kinds of cancer. University of Maryland Medical Center also seconds these studies. As said by their researchers, dandelion roots possess strong antioxidant properties. They help in averting cancer with efficacy. Even deadliest pancreatic cancer cells can be treated with it. These roots create an apoptosis process that properly eliminates damaged or malignant cells. On the whole, it is something what your body exactly needs to prevent cancer development. For the perfect all around nutrition nutritional boost, you need dandelion greens too. Dandelion greens are loaded with calcium, iron, antioxidants, and lots of minerals. Especially, in vitamins, they are abundant. Each cup of chopped dandelion green provides vitamin K, E, B1, B2, B6, and A as beta-carotene. Therefore, they should be more than welcome on your plate, especially as a salad. They offer a bitter, peppery flavor that works well; raw or cooked. 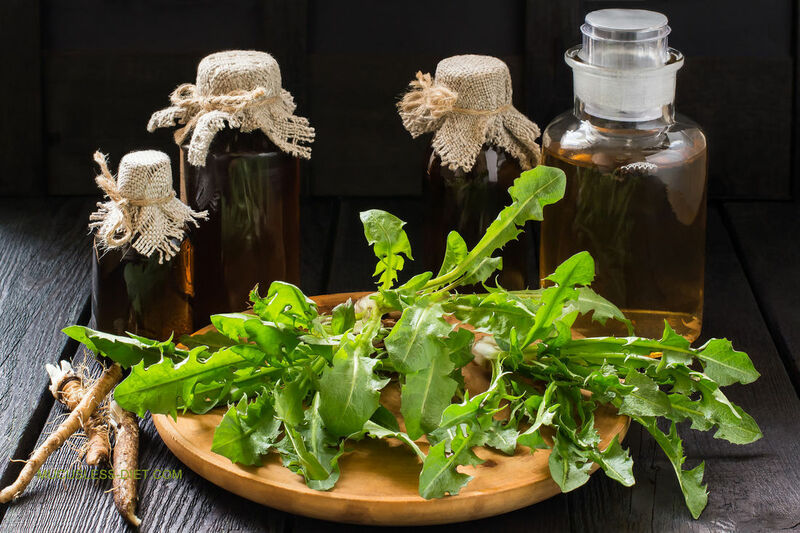 Just like dandelion roots, dandelion greens are also one of the best and most natural cancer treatments. Their antioxidants reduce the free radicals (major cancer-causing agents) in your body. Particularly, breast and prostate cancer respond well to treatment with them. In the international Journal of Oncology, researchers found that its extracts decrease tissue cultures of breast cancer cells. Besides, they also prevent the spread of prostate cancer. Their ability to detoxify body protects you from the development of tumors too. Dandelion green juice keeps the blood pressure in control by stimulating the production of insulin from the pancreas. For that reason, they are believed to help diabetic patients. Since, when pancreas doesn’t produce the right amount of insulin, you deal with diabetes. There are many other properties of dandelion greens that facilitate in controlling diabetes. For instance, the diuretic properties remove sugar deposition in kidney. Moreover, it is quite bitter in taste too that also assists in lowering blood sugar levels. Urinary Tract Infection (UTI) is quite painful and frustrating. Dandelion greens extracts get rid of the deposits of toxic substances in the urinary tract. Due to their diuretic properties, they increase the flow of the urine. It also assist in curing the UTI infection. In case the actual cause behind UTI is bladder disorder, its disinfectant properties help in that as well. They inhibit microbial growth in urinary and bladder system. If you want to prevent urinary tract infection, start picking and saving those dandelion greens. Journal of Alternative and Complementary Medicine also confirms its effectiveness against UTI. Within 5-hours of its consumption, you notice significant increase in urine output. They are quite favorable in treating UTI condition immediately. Do you know dandelion ranks in the USDA’s top 4 green vegetables? Yes! It’s true. They have an incredible nutrient density. You can use both dandelion root and dandelion greens. They are generally considered safe and effective in foods and medicinal levels. You can use dandelion in the form of tea, smoothies, and supplements. For me my favorite brand for herbs is Frontier and I ordered this bag of dandelion root and just loved it so much. Try my favorite dandelion root and see.